Today we'd like to share a testimonial from a very happy customer of our Ice Arena CO & NO2 Monitoring product, the Chippewa Youth Hockey Association. Aretas Aerial, a Canadian provider of UAV solutions and IoT Sensor and IoT Cloud platform products, announces its latest Professional UAV platform for Commercial, Industrial and Research applications. The Canadian built UAV Octocopter V1000 Drone is designed for technical payloads and provides a steady, reliable flight platform. Taking advantage of the newest high power motors and carbon fiber propellers, the large octocopter platform can carry a heavy payload such as a cinema quality DSLR, scanning LIDAR, and radiation sensors. Monday December 7, 2015 marked a historic day for China and the world but not the kind of history to be proud of. China issued its first-ever Red Alert for the city of Beijing, this is first time they had raised the alert to its highest level since an emergency air-pollution response system was announced in 2013. In May, the World Health Organization updated the acceptable levels of small particulate matter, nitrogen dioxide and ground-level ozone. 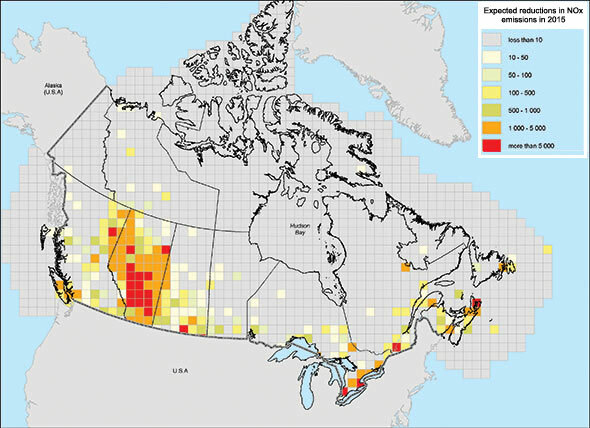 The information presented by CBC News referencing an editorial by the Canadian Medical Association Journal calls for Canada to adjust it levels saying “Canada can't afford complacency on air pollution”. 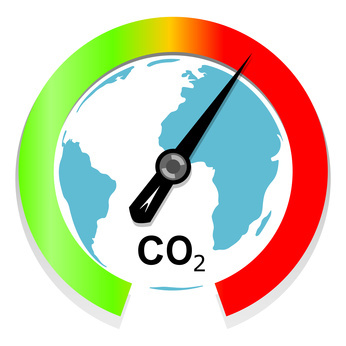 Some records you don’t want to break; atmospheric carbon dioxide levels exceed 400 ppm worldwide. Pre-industrial revolution carbon dioxide levels averaged about 280 ppm. Since the original industrial revolution in the 1800’s, many countries continue to industrialize. Recently, China has become the leading producer of CO2 emissions worldwide. 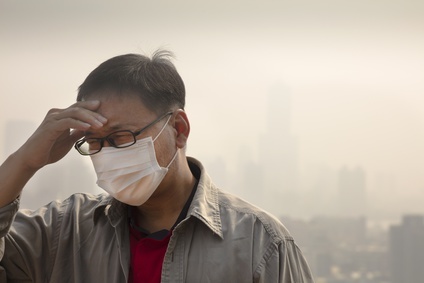 Particulate matter pollution may negatively affect the brain. 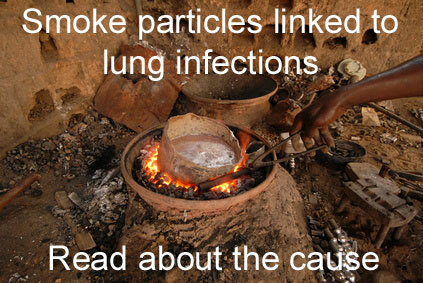 Particulate matter pollution has long been known to be a factor in raising the risk of stroke. Additionally a 2004 American Heart Association scientific statement on “Air Pollution and Cardiovascular Disease” concluded that exposure to particulate matter (PM) air pollution contributes to cardiovascular morbidity and mortality. Caught in the act - Stopping smoking in your non-smoking areas. When you think about cigarette smoking what comes to mind for you? Seems there is a strong divide between those who smoke and those who don’t. What rights do we all share and when does one group infringe on the rights of another? A recent study conducted by researchers from various universities in the United States and Mexico have concluded that carriers of the apolipoprotein e4 allele gene (APOE4) showed significant decrements on attention and short-term memory when exposed to air pollutants (including PM 2.5) above the current USA standards. APOE4 is the most prevalent genetic risk factor for Alzheimer's disease. The estimated APOE4 gene in Caucasian population is 13.7%, while estimated population with Alzheimer's that carries the APOE4 gene is 36.7%. Heat Maps Feature Coming Soon! All Aretas sensors have the ability to support geotagging for sensor readings. Every reading stored in our data center also has a field for geotagging. Even if each data point's geotag is not populated, the sensor location is also stored separately and correlated with the data output. Coupled with timestamp, geo tag (x,y,z) and sensor value, all available dimensions are queryable for analysis and visualization. Numerous fixed station sensors can be visualized in 2-D, output from moving sensors can be tracked and visualized (in 3-D) and data can be queried geographically.